Experimentation Abounds in Week 5! 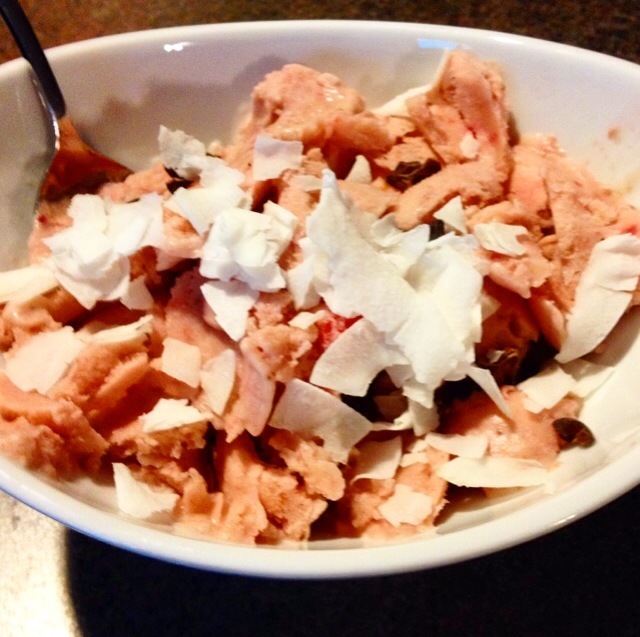 This is my 5th week of Low FODMAP elimination, and as I move toward acceptance (ie. I accept that I can’t eat that bagel…grrr), I am experimenting with more food. There are a few things I find frustrating about this diet, despite how good I feel. One is acceptance, which I wrote about last week. Two is having to explain to people what I can and can’t eat. Everyone is always astounded by the “no onion/no garlic” rule, often exclaiming, “But why?? Garlic is SOOOO GOOOD for you!”. Or having to explain to people that I am not a vegan, or that just because something is gluten-free doesn’t mean it’s low FODMAP friendly. Maybe if I were living in Australia or the UK, this wouldn’t be an issue. But in the US, this diet is not very common, so it’s very confusing to many people. The third frustration is finding pre-packaged food that I can eat. Although I love to cook, I sometimes need food on the go, especially if I wasn’t good about planning my meal that day. This is where experimentation comes into play: I experiment by trying to find pre-packaged food I can eat, and I experiment by cooking. I love to cook, so this is not much of a frustration. My experimentations this week include: strawberry banana coconut milk ice cream from Vikalinka, peanut butter banana chocolate muffins from Averie Cooks, Immaculate Cookies which I found at Whole Foods, and Wellshire Premium Beef Franks, also found at Whole Foods. Let’s start with the highlights of the week! 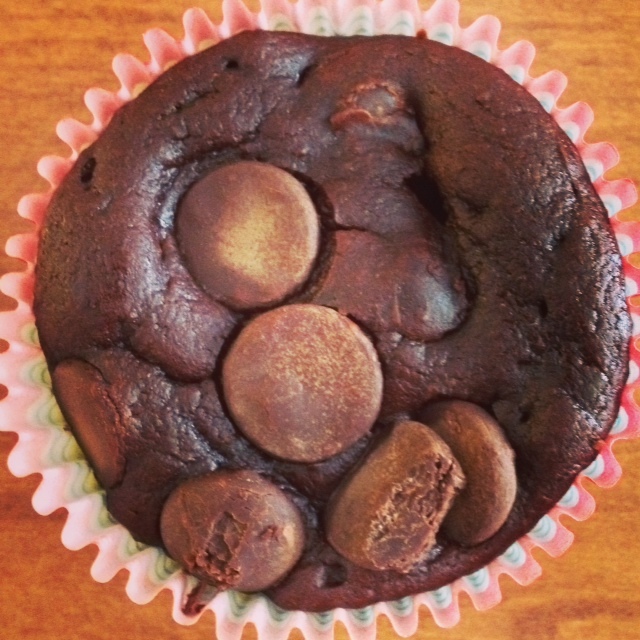 These muffins are amazing, and they were very easy to make. I hardly notice the absence of flour, and I don’t mind the banana flavor. I made regular sized muffins since I don’t have a mini-muffin tin, so the cooking time went from 12 minutes to 20 minutes. Also, to be FODMAP friendly, I used maple syrup instead of honey for the sweetener. Ok, so the hot dogs. My first (and hopefully, only) meltdown about trying the low FODMAP diet came when my husband and I had planned to eat hot dogs for dinner, and I couldn’t find one hot dog brand that didn’t have garlic, onion, or high fructose corn syrup somewhere in them. I literally threw a temper tantrum about this. It’s not that I love hot dogs that much, but it just really hit me that I would be limited to some food items and have to work harder to make meals. 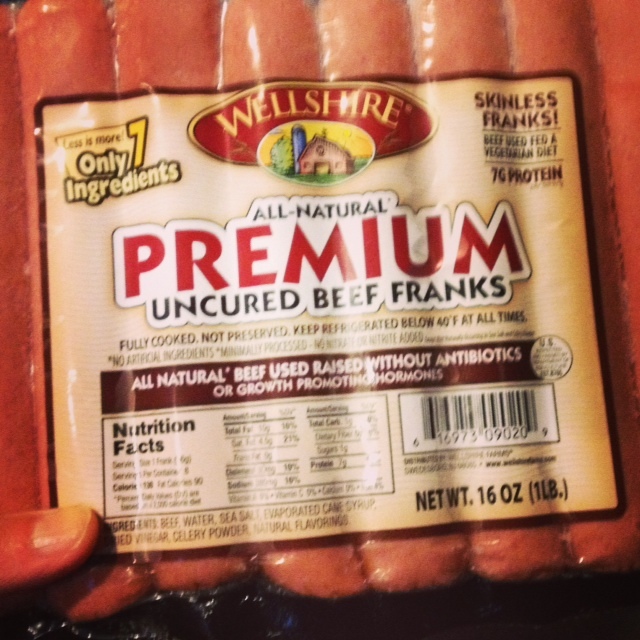 We came across these Wellshire Beef Franks at Whole Foods, and they do not contain onion or garlic! I had them this weekend with gluten free bread and mustard, and it was great. I’ve come full circle! 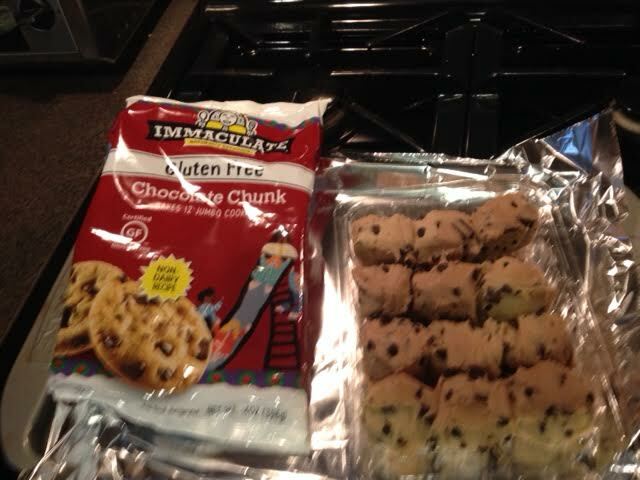 Finally, the Immaculate Gluten Free Dairy Free cookies….oh, I had such high hopes for these cookies. Break and bake cookies that I could eat! How bad could it be? Well, they taste just delicious. But something in them triggers my IBS. I have read and re-read the package, and I can’t find the culprit. But the gas and bloating I experienced is something I haven’t had in over 5 weeks. After pawning them off on some friends (and eating two more, just to make sure I wasn’t just imagining things), I threw them out. *a little bit of parsley or mint is a great addition to this as well! Run all through the juicer and enjoy. It makes roughly 16-20oz. Looking forward to more experiments next week! When Life Hands You a Low FODMAP Diet, Make Pizza! Revenge of the Green Tea!